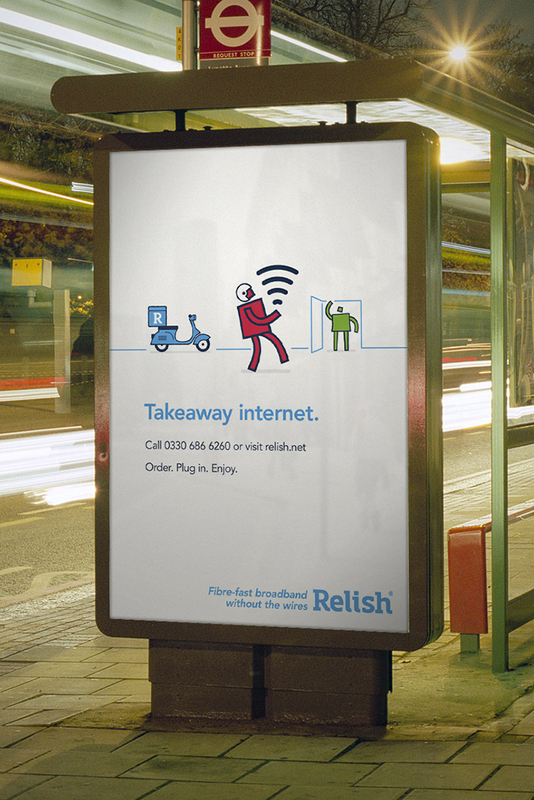 Relish is a wireless 4G broadband service. The Corner partnered with them to launch their brand. 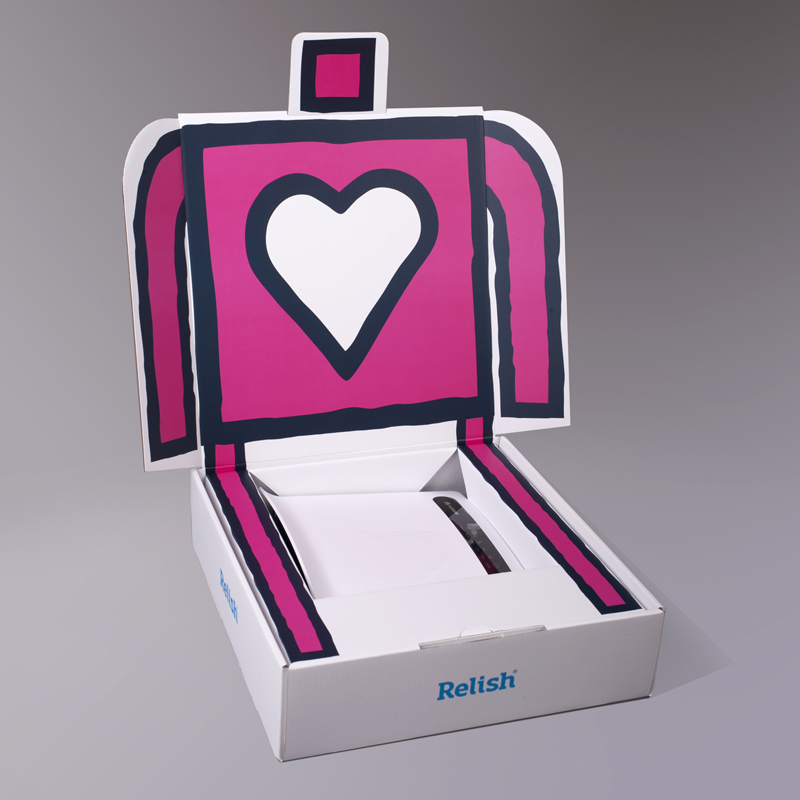 I led the initial design and art direction of the launch campaign. 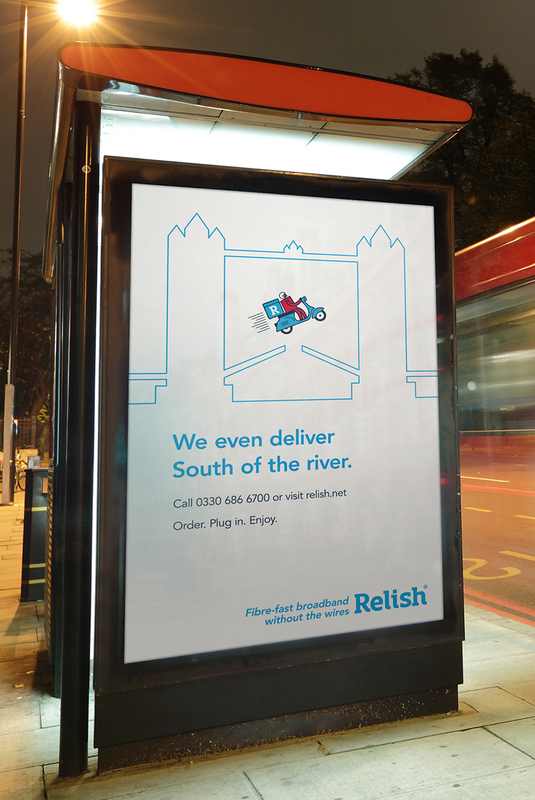 To launch Relish in central London, we created a completely unique delivery service that demonstrates this new-found spontaneity - a scooter team that delivers the internet, like pizza, within 24 hours. 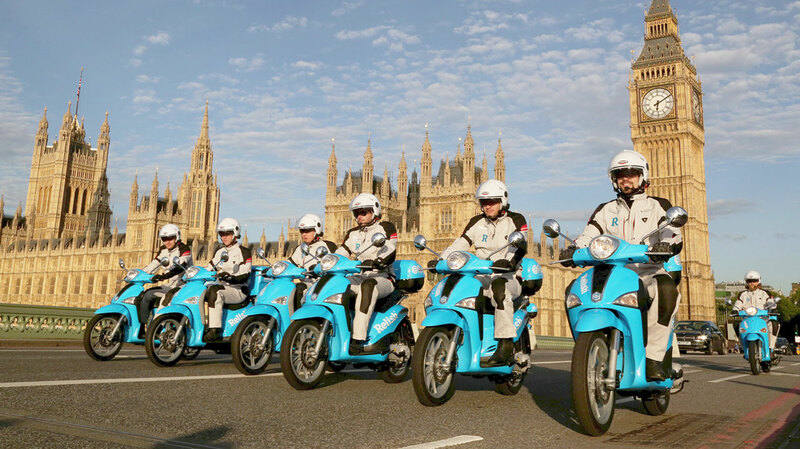 The perfect antidote to the slow cumbersome vans, and digging up of the roads that we have all become accustomed to. Even the packaging resembled a pizza box. 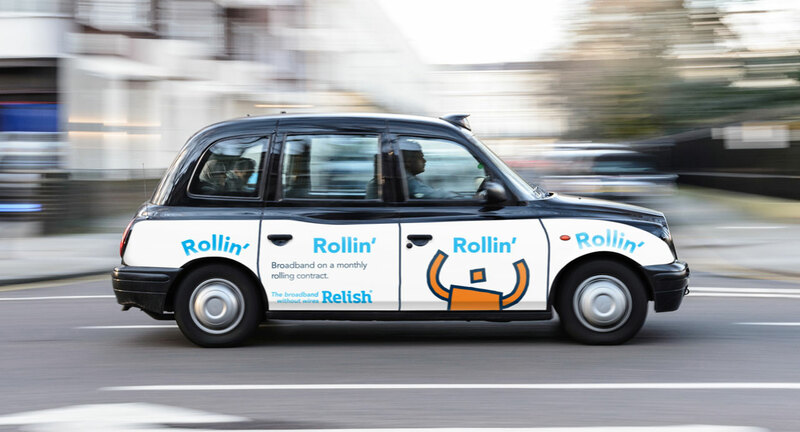 Delightfully introduces the Relish trademark character, who has became ubiquitous around central London since the launch. To give customers a taste of this new broadband service, we built a set of wi-fi enabled outdoor furniture that we placed in parks across London, for everyone to enjoy. 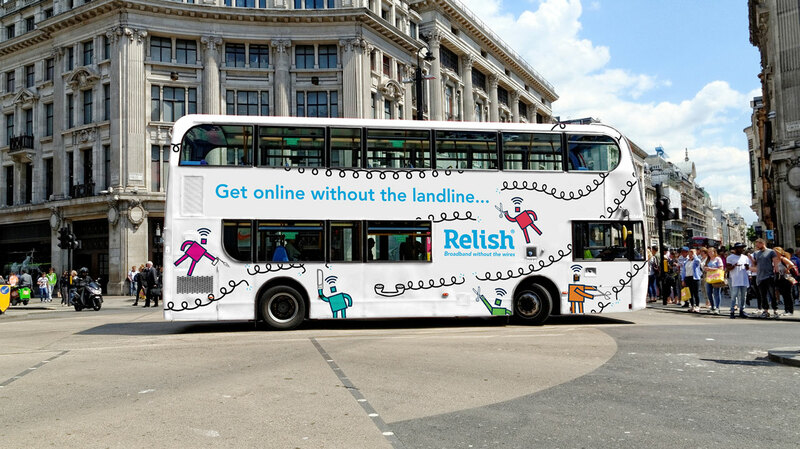 We also launched a series of posters, bus and taxi wraps around London, featuring the Relish trademark characters.